After arriving in Savannah, Gabe and I took a walk down Riverwalk. 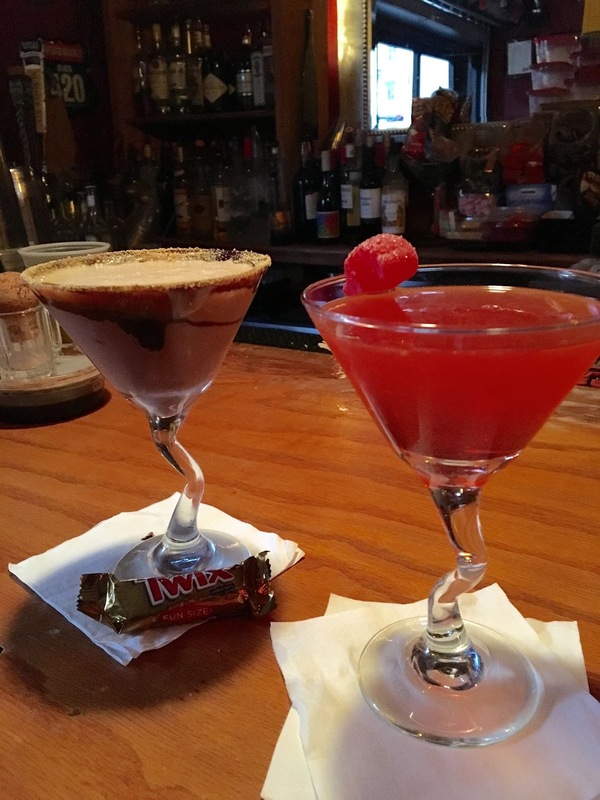 We grabbed a drink, visited some of the shops and made our way up to the many squares located in Savannah. There are 22 squares throughout Savannah (originally 24), all of which have a piece of history behind them. I do however, strongly suggest wearing closed toe shoes in Savannah. The cobblestones are no joke and my big toe lost a battle against it. Two weeks later, I still cannot wear sneakers, meaning my marathon training has taken a major delay. More on that later! Trolley Tours are a fantastic way to see the city. They have a hop on hop off route through all the cities landmarks and give you a piece of history throughout your drive. 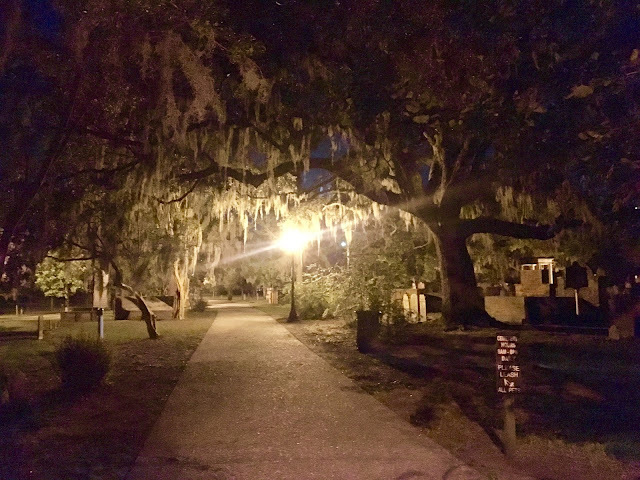 Savannah is one of the most haunted cities in the US so you cannot visit without taking a Ghost Tour. Even if you don't believe in the paranormal, ghost tours do give you a bit of history and hear stories of Savannah's most interesting families and events. You can take ghost tours in the day or at night. We did two different ghost tours - a ghost pub crawl and a ghost trolley tour. I do wish we chose more of a paranormal experience vs. the tours. The Pub crawl was more about going to the next bar vs. hearing stories where the trolley was very long drawn out stories. That's a fun part of Savannah, there are so many different tours, there is always going to be something for everyone. A River Cruise is a great way to see Savannah by water. 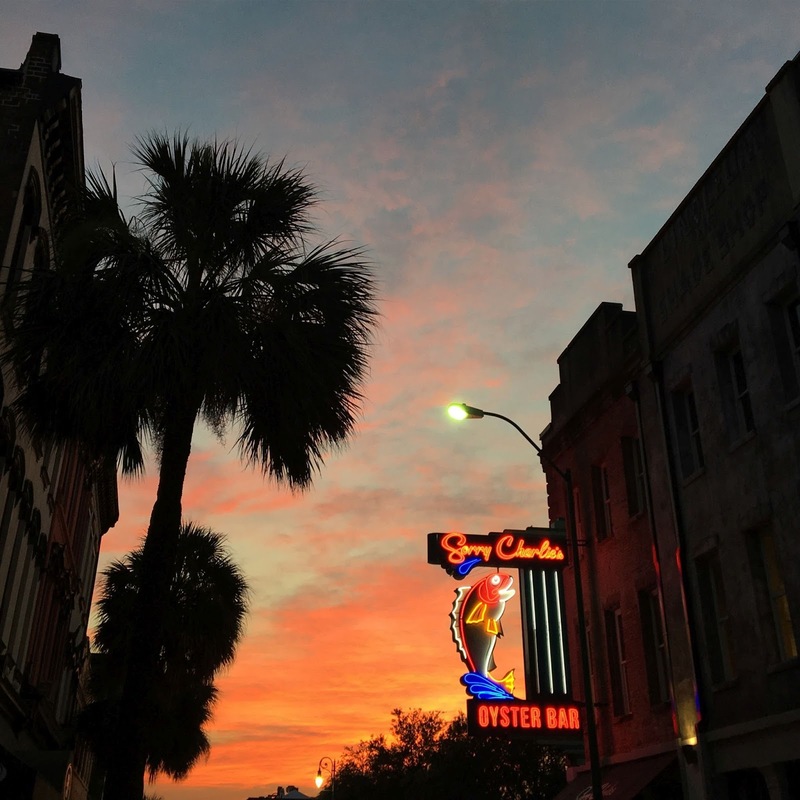 Savannah Riverboat cruises offer a few different options, lunch, brunch, dinner, narrated harbor sightseeing cruise, sunset cruise and moonlight cruise. We did the harbor sightseeing cruise and even saw a canon being fired from a fort. During your trip to Savannah, be sure to take a trip over to Forsyth Park. You can even have a picnic while there. We stopped by on our way out of town on Sunday. The park wasn't too crowded and it was the perfect time to go. There are so many different restaurants in Savannah. I had two amazing meals - both of which names may not blow your socks off. 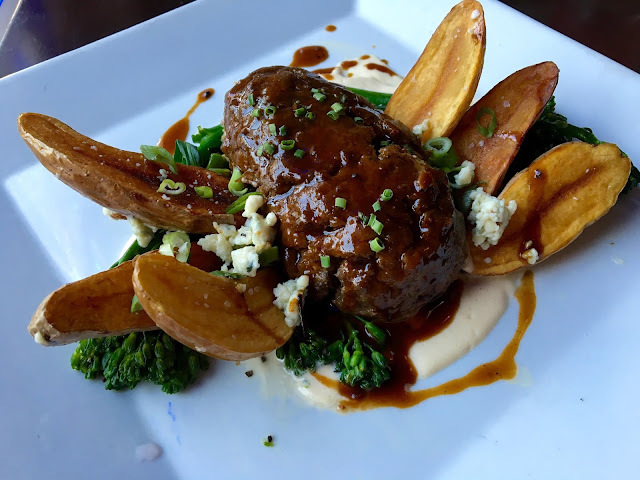 A.Lure Meatloaf, ground filet mignon, foie gras, caramelized onions, roasted garlic cauliflower puree, black truffle mushroom madeira demi glace. I ate every bit of it. 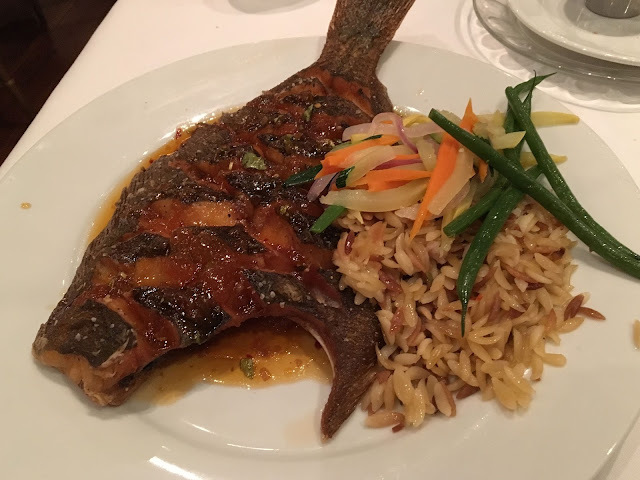 On the second night, we dined at Girabaldi's, what was my favorite restaurant in Charleston. The dish, Crispy Diamond Scored Flounder was every bit as delicious as I remember it with Apricot Shallot Sauce, Orzo Provencal, Julienne Vegetables. 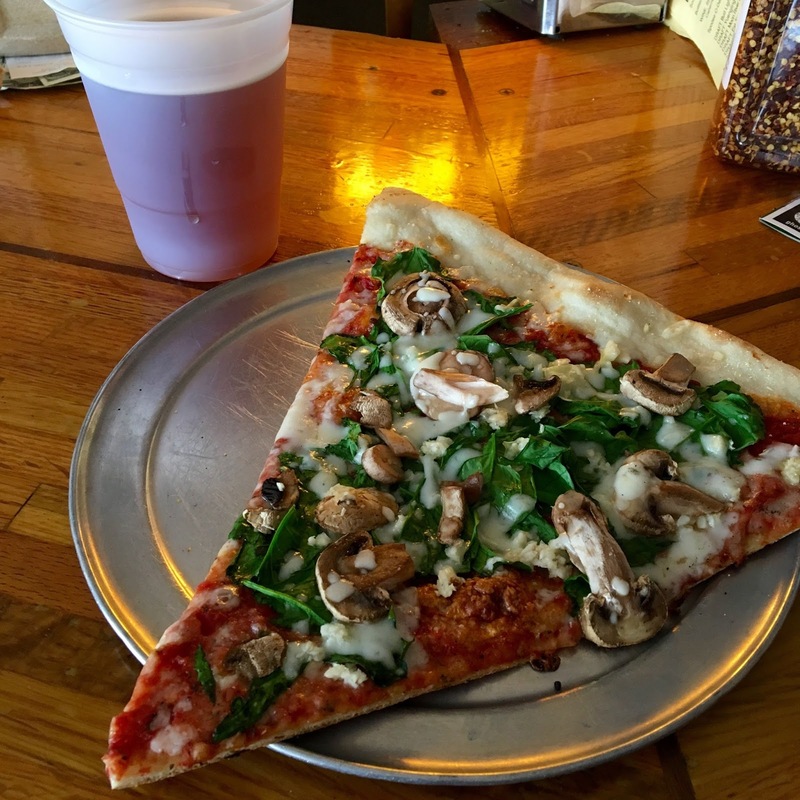 We had a slice of Pizza at Vinnie Van Go Go's which was was delicious and now I want Pizza for lunch. 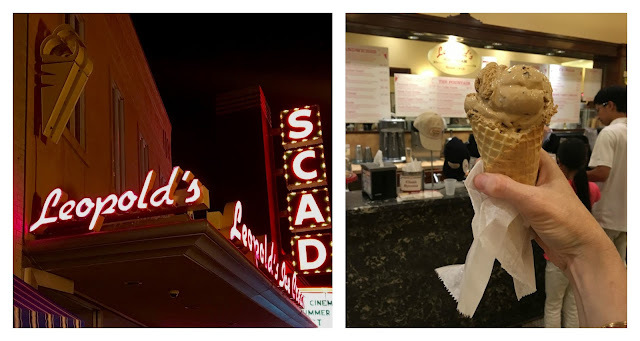 You cannot come to Savannah without getting Ice Cream at Leopold's. Yes it is worth the 45 minute line. Yes, their ice cream is that good. We also tried two of the 200 martini's served at Jen's and Friends. Other places not to miss are The Olde Pink House, Mrs. Wilkes Dining Room, if you can't make it to Mrs. Wilkes (not open on the weekends) you can get a delicious southern buffet at Paula Deen's Lady and Sons restaurant, Vic's on the River is always a crowd favorite and Rocks on the River has the best sunset you will find in Savannah - grab a cocktail up on their rooftop. We saw two spectacular sunsets on our trip. Be sure to check out what time the sun sets as it seemed to set much later than in does FL. Odd!